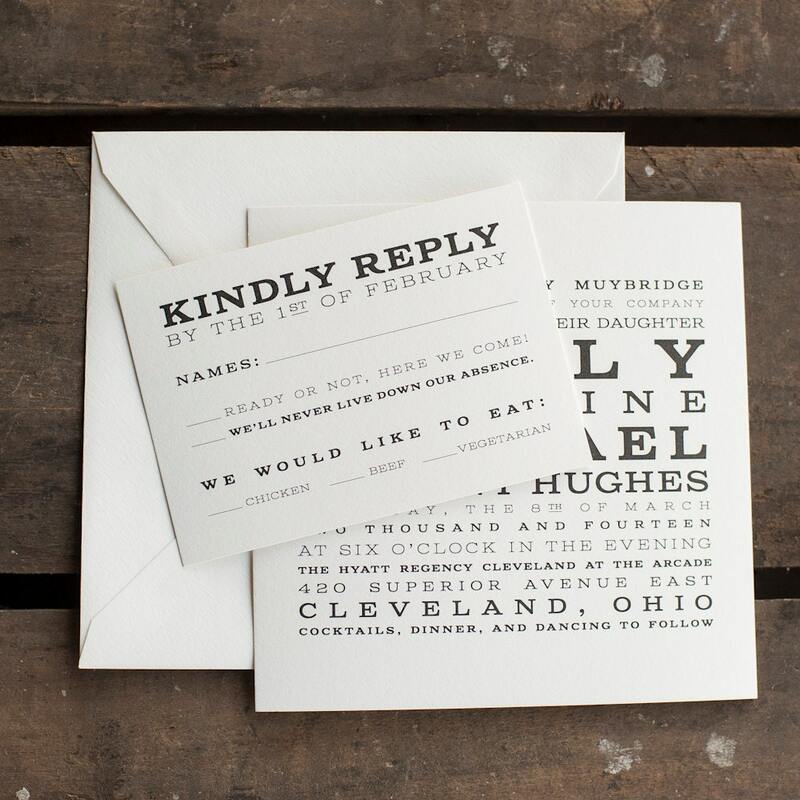 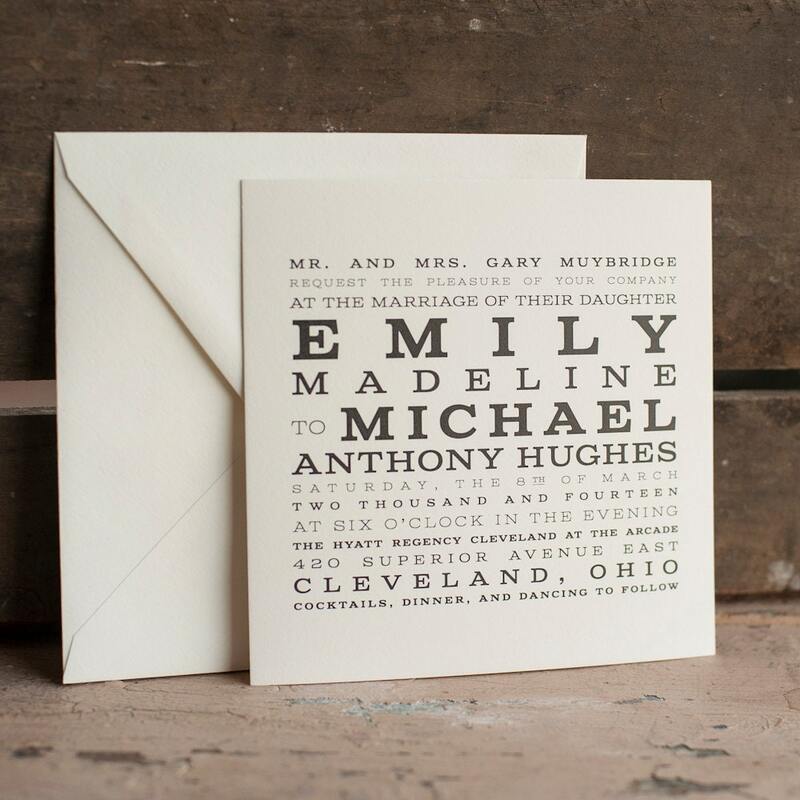 The Arcade - a simple, understated design on this rustic wedding invitation in a great typography driven style. 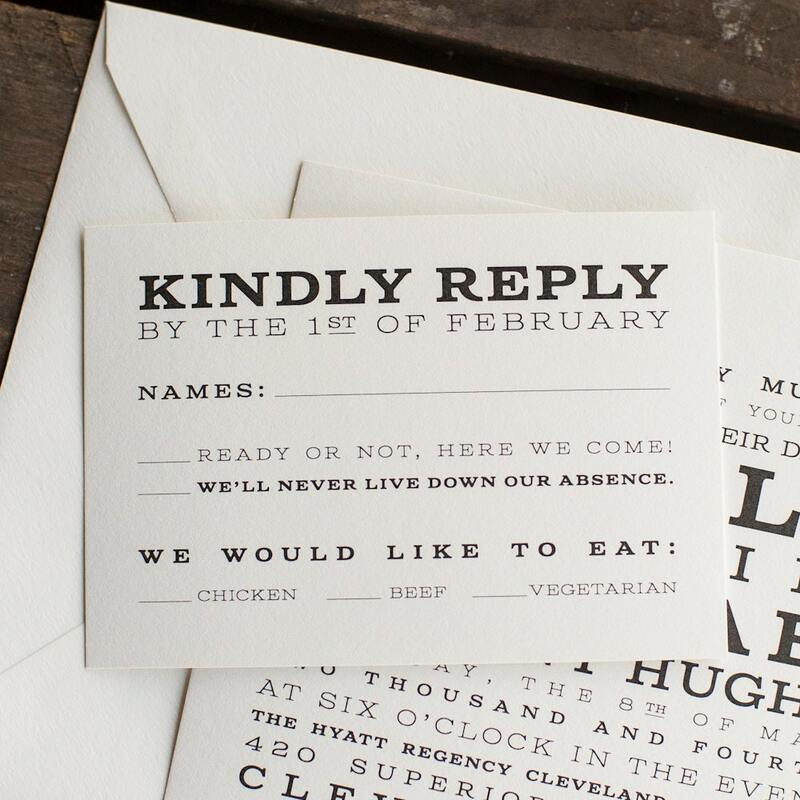 Coordinating RSVP card has fun options (though wording is always flexible!). 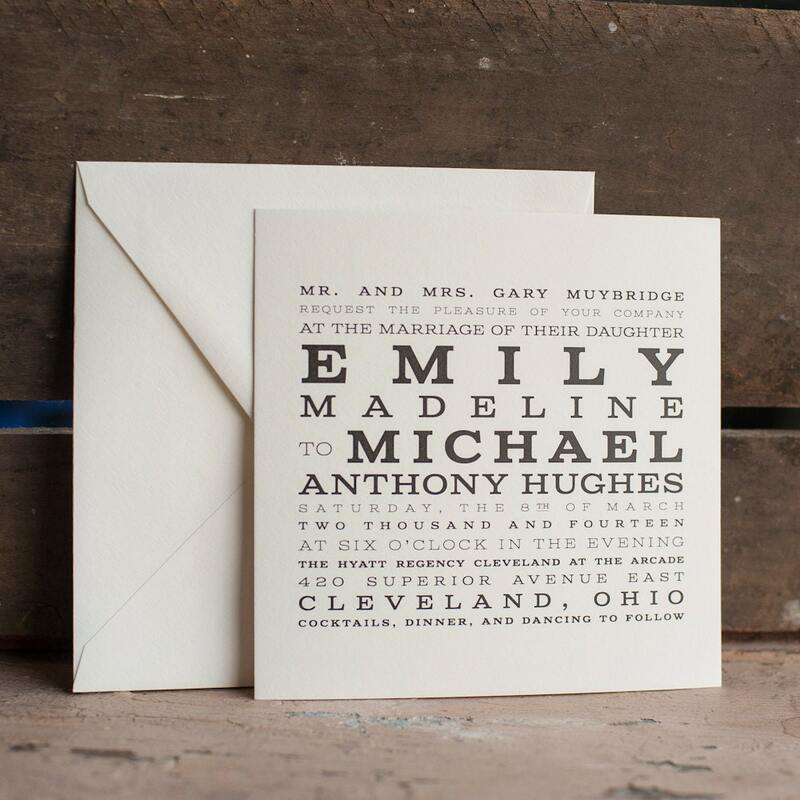 Pricing below is for flat printing, our most basic method. 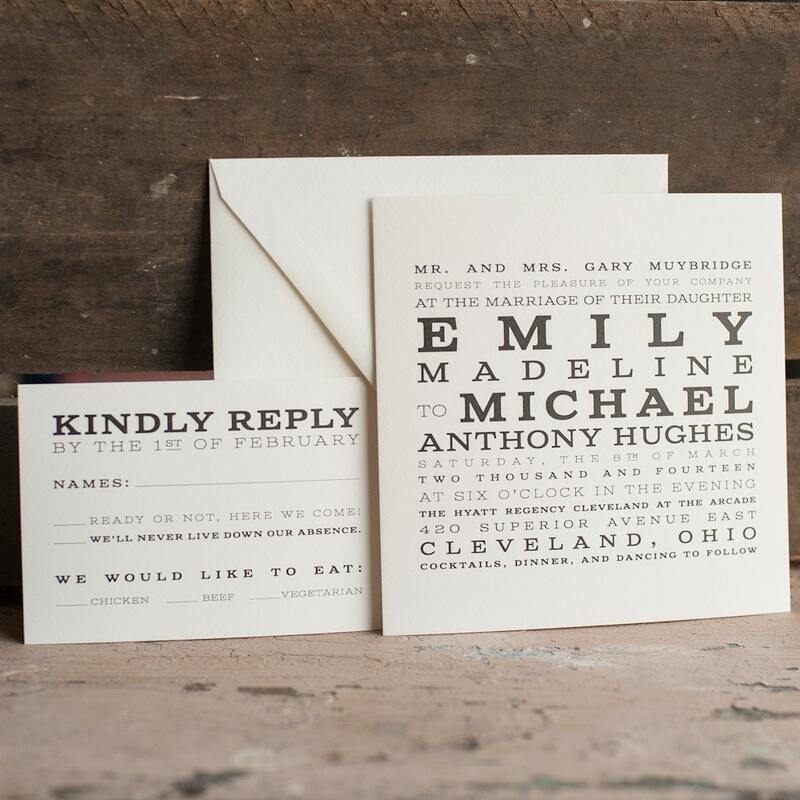 Inquire for quotes for letterpress, thermography, or foil printing to make your Arcade invitation set shine!